Toto enthusiasts will almost certainly find much to appreciate here, but for me, I really think it's missing a 'Rosanna'. Italian band Mindfeels first appeared with the name Dejanira back in 1994 and originally consisted of Italo Graziana (drums), Roberto Barazzotto (bass) and Luca Carlomagno (guitars, keyboards & violin). Operating as an instrumental trio, the band paid homage to their heroes Toto by covering instrumental versions of their songs live. Later, Dejanira joined forces with female singer Raffaella Miani who fronted the band for the recording of their first, as yet unreleased album which they self-produced. A few years later, new front-man Davide Gilardino replaced Raffaella on vocals and they decided on a change of moniker to Mindfeels, a play on the name of the album 'Mindfields' which was chosen to represent their infinite love of all things Toto. 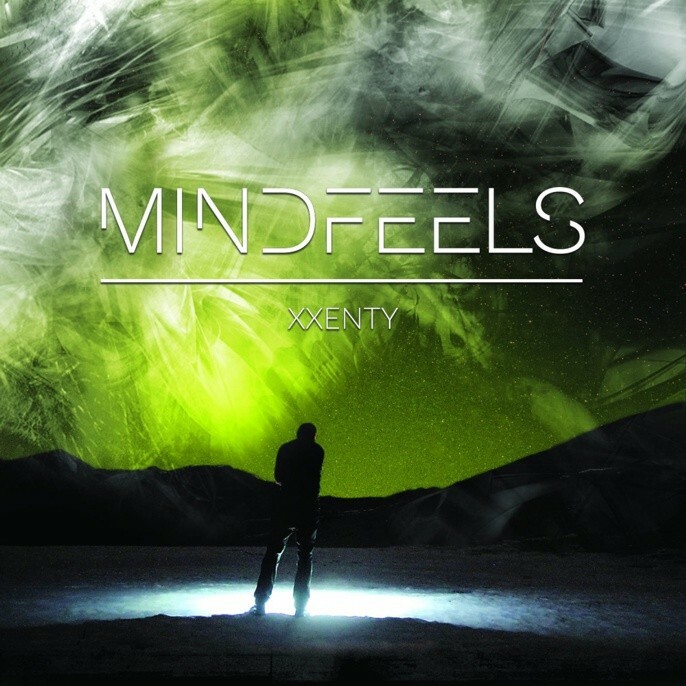 'Xxenty' is Mindfeels' official debut album and inevitably, as you've probably guessed, it's a very Toto-orientated release. Opener 'Don't Leave Me Behind' is definitely in the lighter West Coast vein, then the album shifts towards a technical AOR style that's abundant with pristine musicianship, occasionally also displaying Progressive leanings in the arrangements. It's fair to say that guitarist Carlomagno is the star of the show with some impressive fluid soloing, and many of these solos come at the song's conclusion rather than after the second chorus, thus acting as a fitting finale. Melody-wise, it's decent without being dazzling and that's where Mindfeels' shortcomings are with 'Xxenty'; as it strives for perfection, it ultimately falls short of its primary goal – that spark or element to create a real frisson of excitement is completely absent. As reasonable as the likes of 'Soul Has Gone Away', 'Skyline' and the ballad 'These Words' are, they're merely safe instead of spectacular.